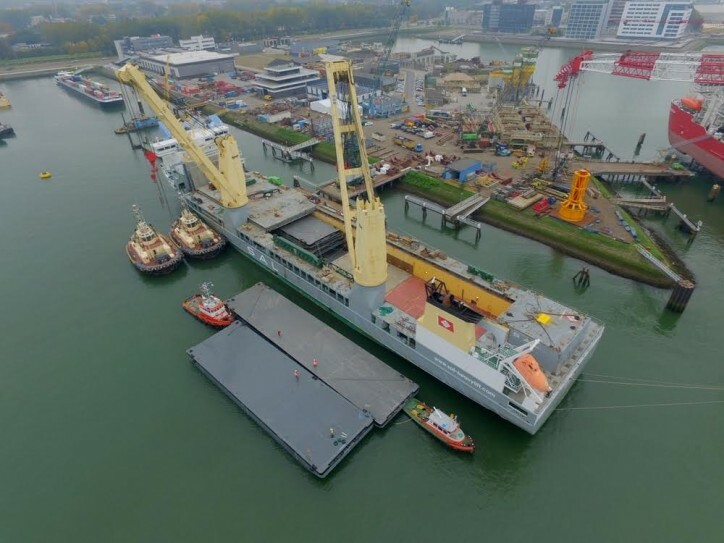 Damen has concluded its latest multiple vessel transport. 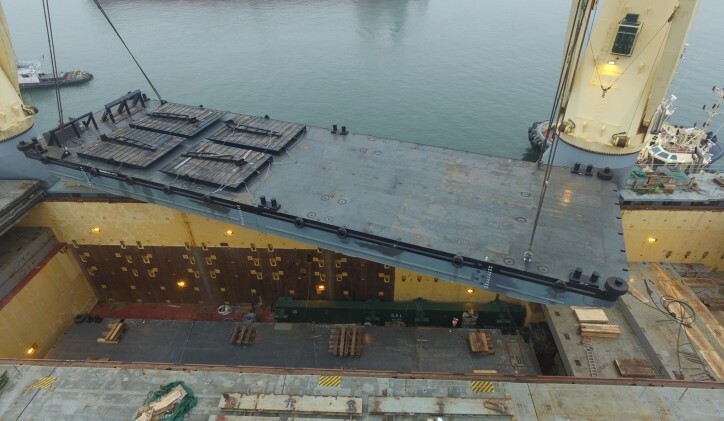 The shipment of ready-for-delivery vessels contains Stan Pontoons 4113, 4111, 4512, 5211 and 6316 in addition to a number of ASD 2810 Tugs. From a client’s point of view, a transport such as this means that vessels are available at competitive prices and within fast delivery times. 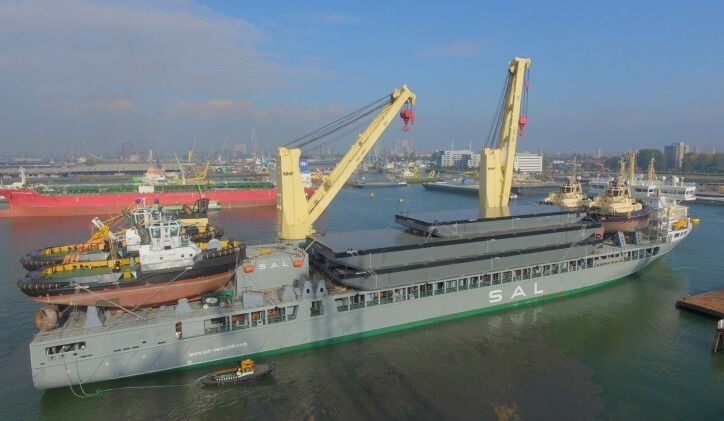 The transport was performed by SAL Heavy Lift’s MV Svenja, which set sail from Shanghai at the end of August loaded with Stan Pontoons from Damen Yichang Shipyard, China. 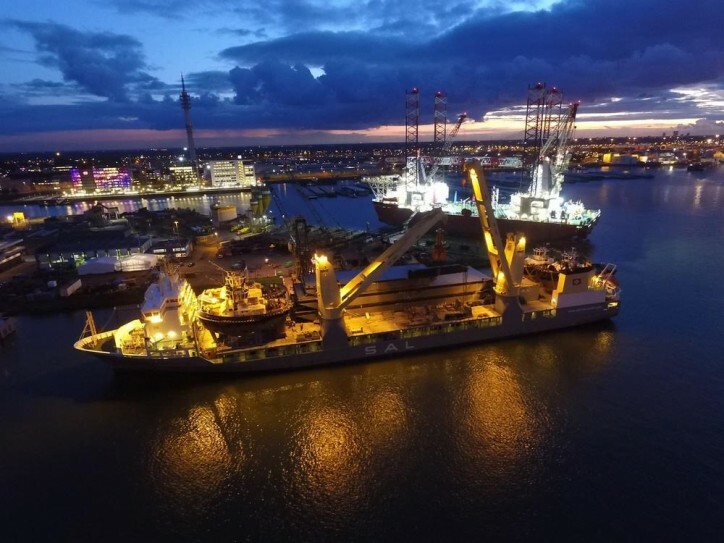 After a stopover in Vietnam to pick up six tugs that were built at Damen Song Cam Shipyard, the Svenja began her journey to the Netherlands. On arrival in Rotterdam, the task of unloading commenced straight away. 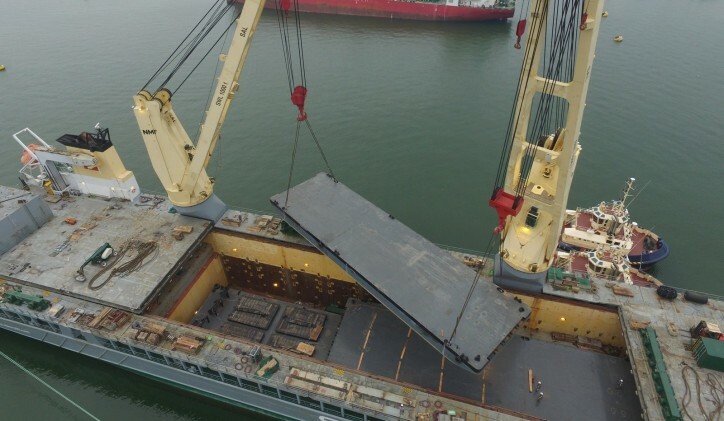 The man responsible for this – as well as the planning and logistics of the entire transport – was Damen Service Coordinator Heavy Lift Rimmert Berlijn. Transporting several vessels at once from its yards located in China and Vietnam is a strategy that Damen has used on previous occasions with successful results. This efficient approach to vessel delivery means that the company can keep its own delivery costs to a minimum. Subsequently, Damen can deliver vessels at very competitive prices and within tight timeframes. When equipped with a crane, for example, Stan Pontoons can perform operations for construction and contracting jobs; or install additional equipment for tasks such as delousing and net maintenance operations for the aquaculture industry. For the dredging sector, the installation of a loading bridge can create a platform ideal for the relocation of dredged materials. Furthermore, an excavator and DOP-Pump package enables operators to start dredging immediately. Because the Stan Pontoon 4512 has below decks tank storage capacity (for both fuel and fresh water) in addition to deck load capacity, they can also be used as a versatile service pontoon in remote areas. Following the recent ratification of the IMO Ballast Water Management Convention, Stan Pontoons are expected to be increasingly installed with ballast water treatment equipment. 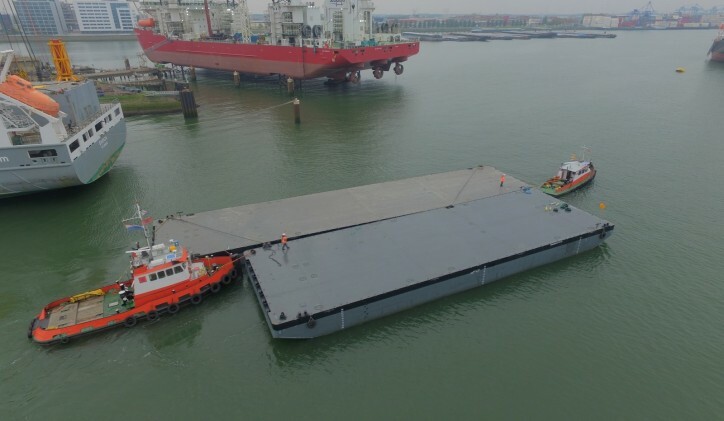 “Notably, in this situation, the pontoon’s own tanks can be used for temporary storage of ballast water to guarantee faster turnarounds,” explains Mr Hoekstra.